WE SPECIALIZE IN COMMERCIAL AND INDUSTRIAL GENERATORS AND TYPICALLY DO NOT SELL OR SERVICE EQUIPMENT THAT IS INTENDED FOR RESIDENTIAL USE. We do sell commercial-grade equipment that can be used in large homes or multi-unit apartment buildings or condos. We do not sell or service gasoline-powered portable generators, generators for RVs or boats, air-cooled or 3,600 RPM home standby generators, or welding generators. Our sales engineers have extensive experience specifying equipment and working with consulting engineers and contractors to install backup power systems. Each job that we design and quote is a custom project. We don’t compete with the big-box retailers, internet sites, or contractors, who provide equipment for the typical homeowner. However, we would be glad to recommend an electrician and service provider who can supply, install, or work on smaller equipment. Determine which items are inductive loads such as pumps, air conditioners, power tools, garage door openers, dishwashers, and refrigerator/freezers. These loads use electric motors that require two to four times the operating wattage for start-up. Using the wattage and nameplate information on motors or appliances, add up the wattage of the devices needed to be covered by the generator. The total wattage, in 1,000's of watts or kilowatts, plus 15-20% should correspond to the size of the generator in kW. 1,800 RPM water-cooled diesel engines, similar to those found in tractors or trucks, can operate for 20,000 hours or more before major engine maintenance is required and are suitable for commercial or industrial applications. 1,800 RPM water-cooled gas engines are similar to car engines and are typically lighter duty, but will still operate for 6,000 to 12,000 hours with normal maintenance. 3,600 RPM air-cooled gas engines, like those found in most residential generator sets, are similar to lawnmower engines and are the noisiest, can only run for hours rather than days, and have the shortest lives, normally requiring replacement after 500 to 1,500 hours. Name brand engines allow easy access to parts, service, and support. 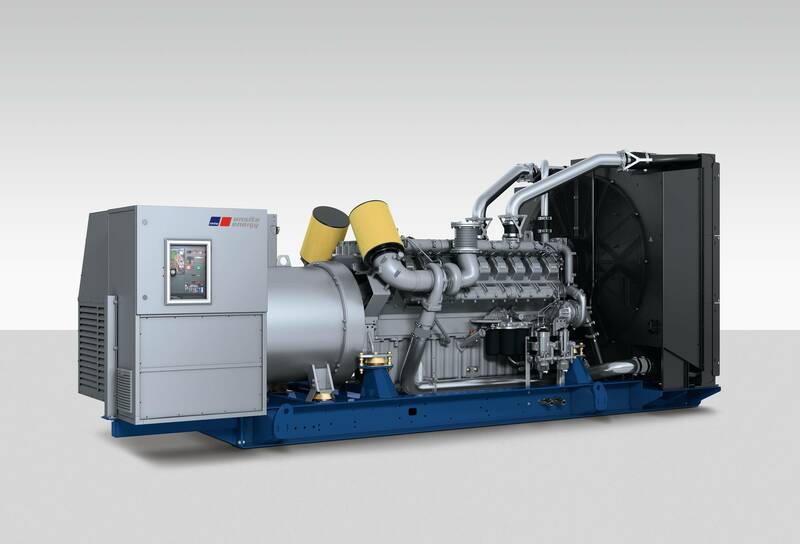 Generator sets produce either single or three-phase power. Check your electrical panel or consult an electrician to determine the type of power and voltage required. Three-phase power is typically found in medium and larger commercial and industrial facilities where power is used for motor starting and running. The amperage running through the electrical service panels to be covered will also help determine or limit the size of generator and transfer switch that can be used. Dead batteries are the most common reason generators do not start. Battery chargers ensure that the units will start when called upon. Fuel/water separators help protect the engines from water and condensation in the fuel. Critical-grade mufflers and sound-attenuated enclosures offer quieter operation where noise is a concern. Load banks are used to test generators to ensure that they will produce their rated capacity when needed. Remote annunciators and system monitoring and controls allow you to check the status of the generator and transfer switches from inside your office or home.